This page is about altitude limited electric soaring gliders as flown in the USA. been submitted to the 'Academy of Model Aeronautics' (the AMA) and can be found here. landing bonus is added on afterwards. The maximum round score is 1050. Generally the group scored flight time is the major component of the score. 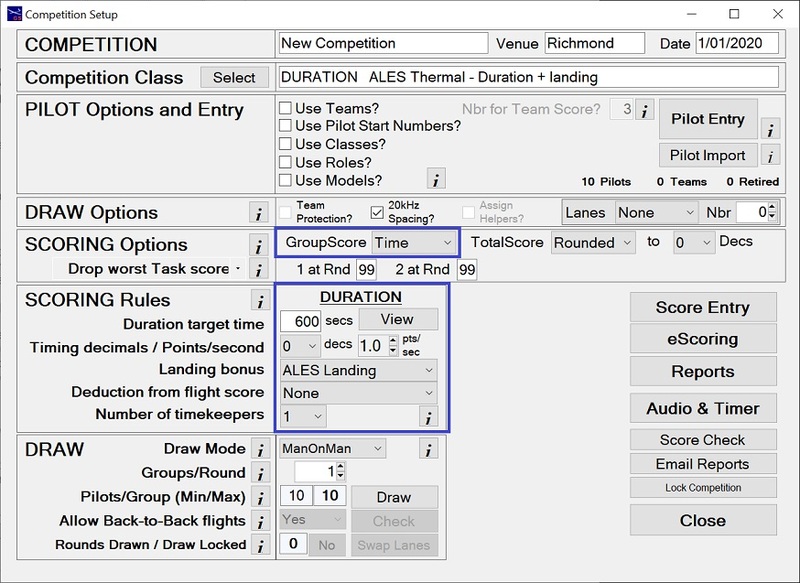 For team events, teams can be automatically allocated to lanes on a round by round basis. Keeps track of each pilot's best score for each round (if pilot is re-flown). Expand ALES on the side menu of this web page to work through these features. Watch the Comp Setup ALES video.